California based HARDCAR has dominated the US cannabis market for years and now looks towards growing markets overseas. February 8, 2019 – (Palm Springs, CA) – HARDCAR Distribution announced today that it is entering the European cannabis market with the goal of expanding its global footprint. The company has been discreetly evaluating the European market for years and is now prepared to take the next step. Davos World Economic Forum, alongside UK-based analytics firm Prohibition Partners, recently published “The European Cannabis Report” stating that Europe could be world’s largest medical marijuana market in 5 years. Europe inhabits over 740 million people, a population more than double that of the United States and Canada combined. The report also states that Europe’s three largest medical cannabis markets – Italy, Netherlands and Germany, will see medical cannabis patients double to more than 225,000 in 2019, and that their markets alone could grow to $18B US dollars in the next decade. With more countries either passing legislation or announcing to do so in the near future, massive growth is inevitable. With the World Health Organization reassessing its stand on medical cannabis, Europe will play a critical roll in the progression of science and how people use cannabis as a medicine to treat a number of physical and mental ailments. Removing cannabis from the United Nation’s “strictest categories” silo would provide better access for patients, increased research and clarity, and easier international trade. With offices in Sweden and the UK, and partnerships with universities in numerous countries, HARDCAR is positioning itself to become a leader in the European cannabis market. 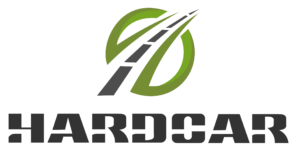 For questions or more information, please contact HARDCAR at info@hardcar.com or call 1-833-246-4273. HARDCAR Distribution Expands Cannabis Banking Partnerships in California The cannabis cash crisis: Where to put the money?